With the Federal Reserve printing trillions upon trillions of dollars to keep the economic system afloat, many investors and financial pundits have surmised that the fundamental economic problems facing the United States during the crash of 2008 have been resolved. Stocks are, after all, at historic highs. But the insiders know different. And if there’s any single person out there who understands U.S. monetary policy and its long-term effects on domestic and global affairs it’s former Federal Reserve chairman Alan Greenspan. As the head of the world’s most powerful central bank for nearly two decades he’s privy to the insider conversations and government machinations that have brought us to where we are today. It was another statement by the maestro that has caught the world’s attention, this time opining on Greece, when he told BBC Radio’s the World This Weekend that “Greece will leave the Eurozone. 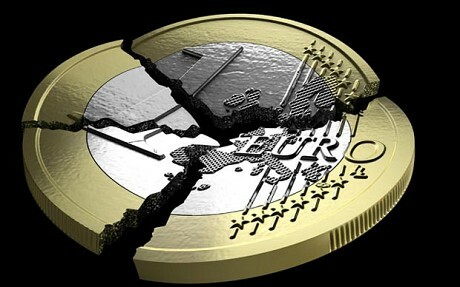 I don’t see that it helps Greece to be in the Euro, and I certainly don’t see that it helps the rest of the Eurozone. It’s just a matter of time before everyone recognizes that parting is the best strategy.… At this stage I don’t see any people who are willing to put up the funds for Greece… All the cards are being held by the members of the Eurozone.” Naturally, this is just what anyone with a functioning frontal lobe (which immediatley excludes all tenured economists) would have said 5 years ago. As I’ve said many times … Physical gold and silver is the money of the TPTB. TETT: Do you think that gold is currently a good investment? 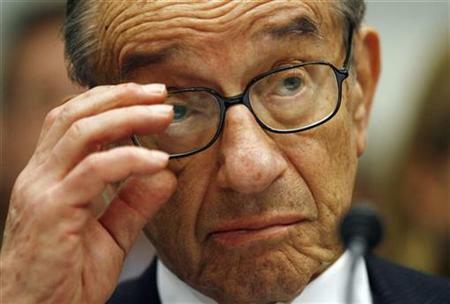 GREENSPAN: Yes… Remember what we’re looking at. Gold is a currency. It is still, by all evidence, a premier currency. No fiat currency, including the dollar, can macth it. It appears it is time for some Hillary-Clinton-esque backtracking and Liesman-esque translation of just what the former Federal Reserve Chief really meant. As The Wall Street Journal reports, the Fed chief from 1987 to 2006 says the Fed’s bond-buying program fell short of its goals, and had a lot more to add. 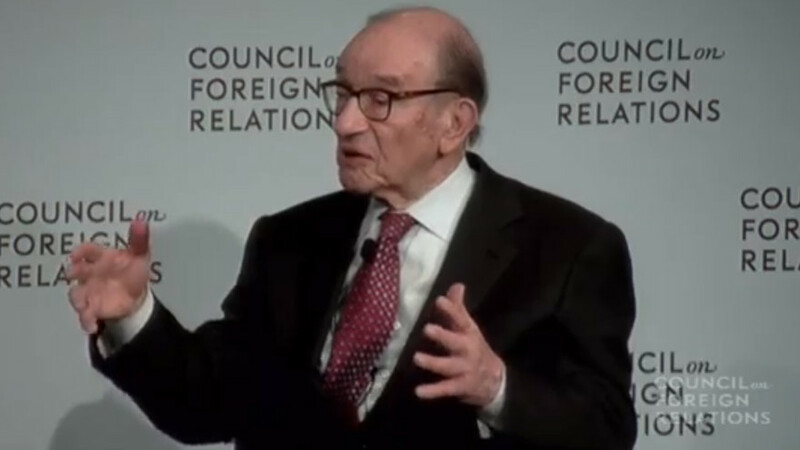 Mr. Greenspan’s comments to the Council on Foreign Relations came as Fed officials were meeting in Washington, D.C., and expected to announce within hours an end to the bond purchases. He said the bond-buying program was ultimately a mixed bag. He said that the purchases of Treasury and mortgage-backed securities did help lift asset prices and lower borrowing costs. But it didn’t do much for the real economy. Earlier this week Bloomberg published a devastating chart showing real hourly wage growth for the first 60 months of every cycle going back to 1949. The 11 cycle average gain was 9% and the largest was 19% a half century back. Fast forward to the 60 months of ZIRP and QE since the Great Recession officially ended in June 2009, however, and you get a drastically different picture: Real hourly wages have risen by just 0.5%, and in the great scheme of things that’s a rounding error. Surely the above chart is also flat-out proof that massive money printing doesn’t work. After all, reflating wages, jobs and incomes is what the monetary politburo claims it’s all about. Indeed, the Fed has insouciantly cast a blind eye to the massive bubbles building everywhere in the financial system, and has kept money market rates relentlessly at zero for six years running on the grounds that it is not yet done “stimulating” the labor market. So why does this abysmally failed and dangerous experiment continue unabated—as Yellen will undoubtedly confirm at Jackson Hole? 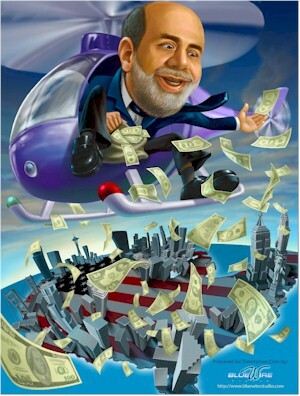 Self-evidently, it is irresistibly convenient to both Wall Street and Washington. The former gorges on a massive diet of carry trade gambling windfalls thanks to ZIRP and the Greenspan/Bernanke/Yellen “put”; and the latter gets a fiscal get-out-of-jail-free card owing to the Fed’s massive repression of interest rates. Indeed, with the public debt now topping $17.7 trillion, the implicit (and fraudulent) debt service relief from current ultra-low interest rates amounts to upwards of $500 billion per year. 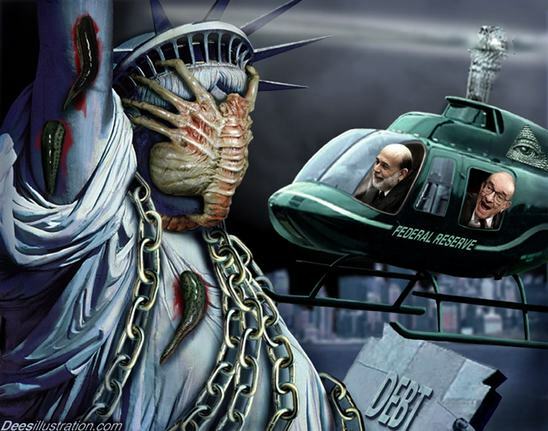 Could The Fed Lose Control Of The Frankenstein Economy It Has Created? What if there are tail risks present in the Fed’s Frankenstein Economy of the same sort that Greenspan et al. failed to identify in 2008? A longtime correspondent emailed me last week about the apparent contradiction between a Federal Reserve that has had the power for five years to counteract any decline and my call for a market decline in 2014: why would the Fed allow a market it has pushed higher for five years to ever fall? It’s an excellent question, as it summarizes the key question: is there any limit on “don’t fight the Fed?” Can the Fed push assets higher essentially forever? And if so, why did it fail to do so in 2008? 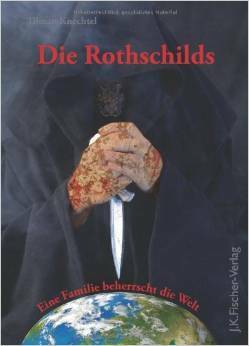 Read moreCould The Fed Lose Control Of The Frankenstein Economy It Has Created? 100 Years Of Economic Turmoil: Is It Time To ‘End The Fed’? 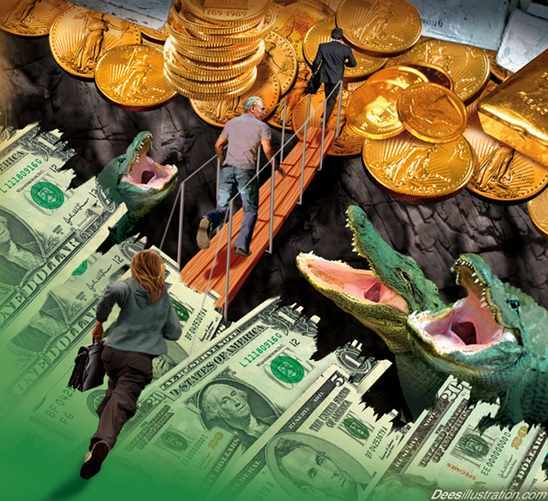 Since the magical moment of its inception on Dec. 23, 1913, the Federal Reserve System has been a source of controversy and even contempt for a growing number of Americans, many of whom are still feeling the sting of the latest financial crisis. 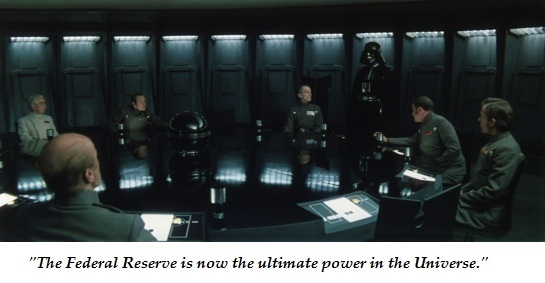 Yet, despite its officious-sounding title, the Federal Reserve System is not an actual branch of the US government, nor does the US government have any control over its monetary monkeying, which involves the printing of money as well as setting interest rates. 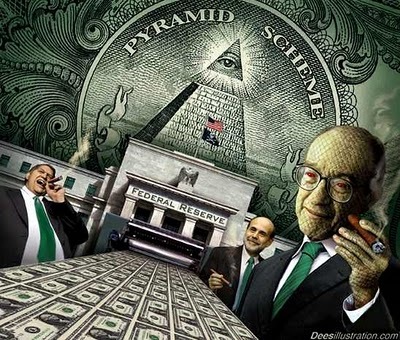 These awesome powers were admitted by no less a respectable figure than Alan Greenspan, who served as Chairman of the Federal Reserve from 1987 to 2006. 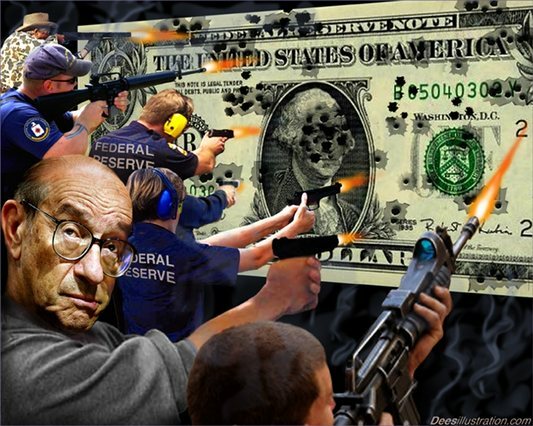 Read more100 Years Of Economic Turmoil: Is It Time To ‘End The Fed’?